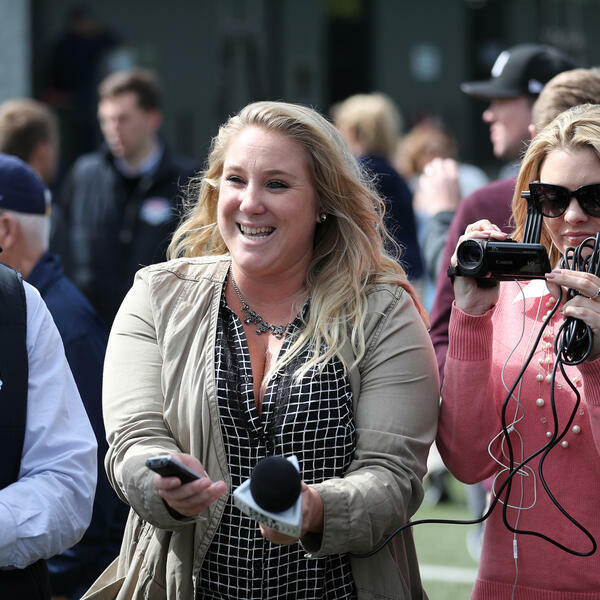 In this inaugural episode of the Sideline Sass podcast, your hosts Kaleigh Krish and Emily Van Buskirk introduce themselves and talk about their relationship to each other and with the sports world. Special guest Oakland Athletics radio broadcaster Vince Cotroneo joins the podcast to talk all things baseball including the new direction of the A's, the new stadium and the playoff race. He also gives his prediction for the Mayweather-McGregor fight on August 26th. The girls also talk about the next podcast, which will be live from Las Vegas for the fight. You can also follow Kaleigh on Instagram @Kakes88 and on Twitter @MissKrish. You can follow Emily on Instagram and Twitter @Emilnem.